The Hilliard Lyons office in Danville was a remodel within a historic building. In the course of demolition, Churchill McGee discovered several original architectural details that were incorporated into the finished space. The removal of the existing drop ceiling exposed the original pressed tin ceiling. Churchill McGee was able to remove, restore, and reinstall the tin ceiling. 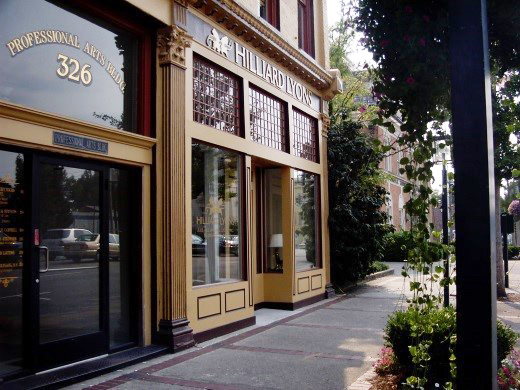 The original storefront was reincorporated giving the offices great natural light and helping the offices shine in the historic downtown block. Interior offices were glassed in to take advantage of the natural light while traditional wood moldings held the renovation to its historic nature.